The best way to experience everything we have to offer is to learn to belay. Once this 90 minute course is completed customers will have full access to the climbing terrain for the remainder of the day as well as any subsequent visit. 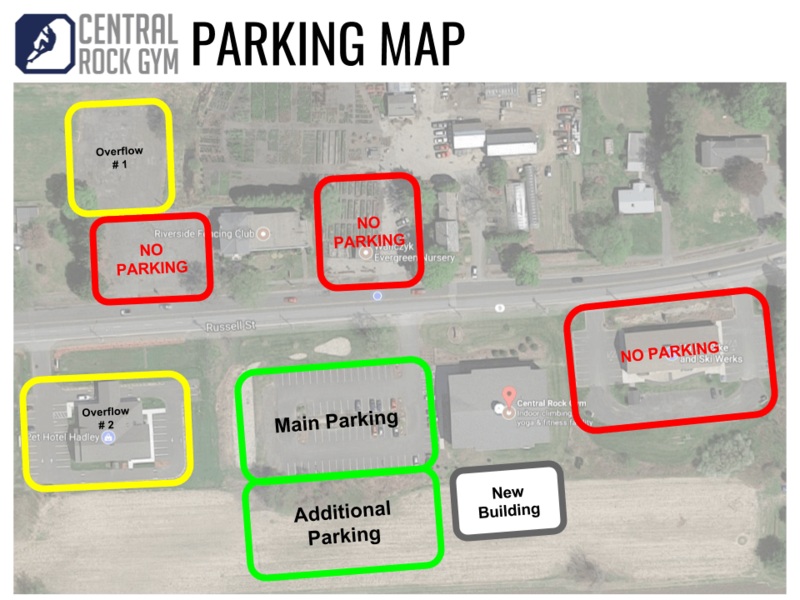 Let our trained staff at Central Rock Gym do all the work for you. Available on weekends from 12:00pm-3:00pm, this program allows you to climb without taking a belay training course. Our staff will get you situated with all the climbing gear you and/or your children will need, then tour you around the facility for 1 hour letting you climb under their direction to your heart’s content. We pair our staff with up to 3 customers at a time so spots are limited so reserve your spot online now! Climbing may be the largest part of what we do but we have an incredible fitness program as well. With a dedicated fitness and weight room in the expansion, a dedicated yoga room, 14+ classes per week and showers, we have everything you could want to supplement your climbing.